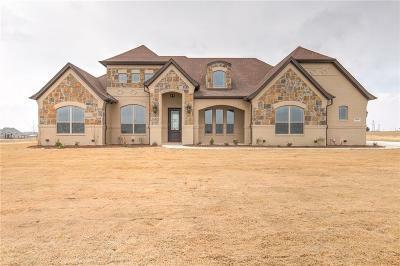 Stunning MK Custom Home located in Weatherfords brand new neighborhood, Corner Ranch (Peaster ISD). This home has it all! Other than the 3 bed, 2.1 bath, this home has an office, formal dining, breakfast nook, game room, huge utility room, 3 car garage, back porch, and fireplace. 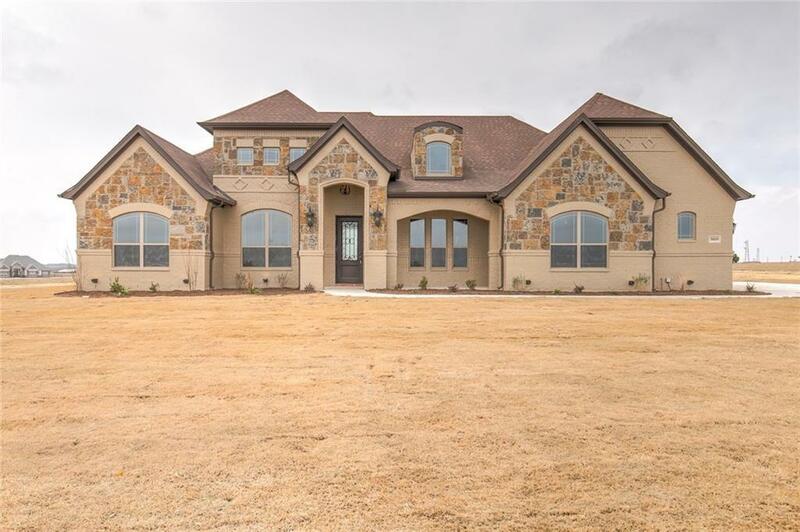 Each selection on this home was carefully picked out to give you a wonderfully designed home. Barn wood located in the breakfast nook and in the living room ceiling boxes. Stone fireplace comes with a gas starter. Gas in the kitchen and on the back porch (in case you wanted to add that outdoor kitchen one day). This builder thought about it all! Foam insulation, surround sound wiring, and much more!